George Shiu Raj is one of the three SODELPA provisional candidates from the Ra province. George Shiu Raj is one of three Social Democratic Lib­eral Party (SODEL­PA) pro­vision­al candidates from Ra province. Mr Raj’s main focus at this year’s 2018 polls is the revival of the Sug­ar Industry. Mr Raj, an accountant by profes­sion, received his tertiary educa­tion in the United Kingdom (UK). He later joined the Chartered Ac­countant Firm of Sambhu Prasad for three years. He contested the 1999 General Election as an independent candi­date and became the elected repre­sentative of the Ra Open Constitu­ency. He was appoint­ed Assistant Minister for Regional Devel­opment and Multi Ethnic Affairs for the Interim Administration in 2000. In 2001, he became the SDL (Soqosoqo Duavata ni Lewenivanua) party’s Minister of Multi Ethnic Affairs. The Rakiraki businessman is will­ing to purchase the now closed Pen­ang sugar mill, rebuild and operate it as a private entity. And he is confident he will be able to revive the sugar industry in the Western Division with this pro­posed move. “We are willing to buy this mill. We must move on,” Mr Shiu Raj said. “At the end of the day we know when the private sector comes over, they will need a profit margin and they will need to move things. 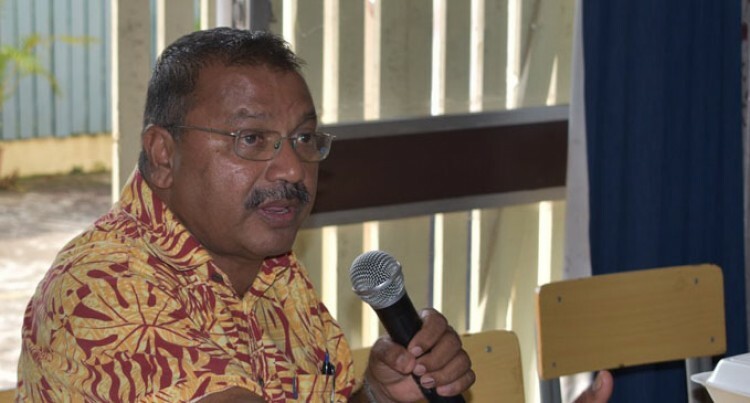 Mr Shiu Raj said even though he had con­fidence in the new leadership at FSC (Fiji Sugar Corpo­ration), he feels it had let the Ra­kiraki farming community down by closing the mill. “Maybe it’s time for the Govern­ment to realise that the Govern­ment or FSC should operate three mills and give one to the private sector to operate,” Mr Shiu Raj said. Mr Raj is married to Pravin Raj and they have three children, a son and two daughters.